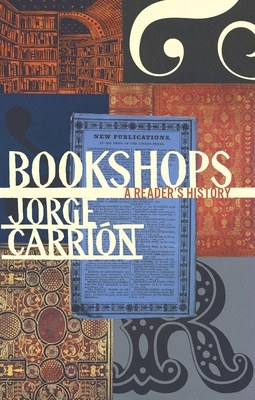 Jorge Carrion collects bookshops: from Gotham Book Mart and the Strand Bookstore in New York City to City Lights Bookshop and Green Apple Books in San Francisco and all the bright spots in between (Prairie Lights, Tattered Cover, and countless others). In this thought-provoking, vivid, and entertaining essay, Carrion meditates on the importance of the bookshop as a cultural and intellectual space. Filled with anecdotes from the histories of some of the famous (and not-so-famous) shops he visits on his travels, thoughtful considerations of challenges faced by bookstores, and fascinating digressions on their political and social impact, Bookshops is both a manifesto and a love letter to these spaces that transform readers' lives. Jorge Carrion is a writer and literary critic. His published works include essays, novellas, novels and travel writing, and his articles have appeared in National Geographic and Lonely Planet Magazine.